A four-hour flight brought us to the lush island with greens, blues, and other magical sunset hues as far as the eye can see. For South Africans, the fact that we don’t need a visa is also a big plus. It’s no secret that our green border-crossing booklets aren’t the most powerful ones in the world. So whenever I get the opportunity of skipping a visa process, I feel like I’ve won a small prize. 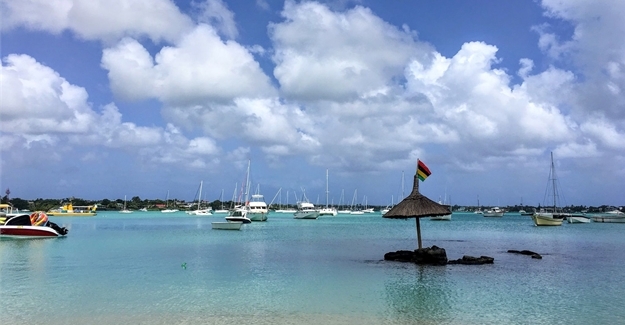 The Mauritius we see advertised here in South African newspapers and magazines usually looks like a luxury island holiday destination for families and honeymooners. And even though that is what the island offers, there is another side of Mauritius that I was privileged to experience on my visit. Our lodging was not at a luxury resort, but instead at the lovely Hotel Le Suffren located in the Le Caudan Waterfront in the capital city, Port Louis. Mauritius is well-known for its unblemished beaches, snorkelling, diving, water sports and the like. But where do you start? Which beaches should you go to? If you’re staying at a resort, it’s easy. You simply roll out of bed, grab some brekkie, walk out of the hotel, and there you have a fabulous beach with all the necessary amenities at your disposal. But how do you know which beaches to go to if you’re not staying at a resort? 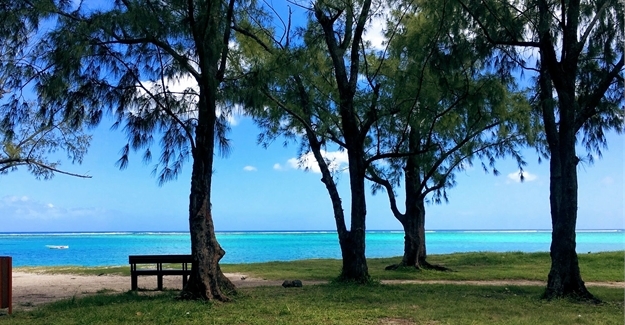 Luckily Mauritius has some fantastic public beaches that locals and travellers alike adore. 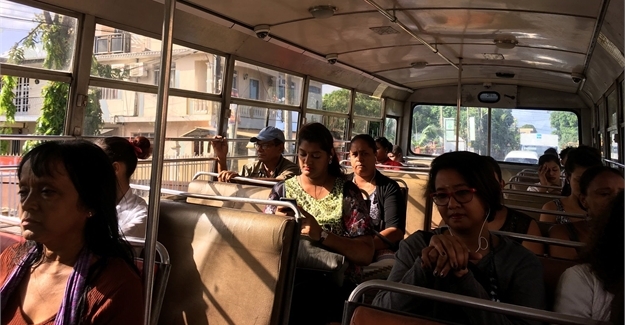 Amidst a jam-packed itinerary with the celebrations of Mauritius’ 50 years of independence, our bus driver from Connections managed to fit in some special stops along the way to (rather proudly) show us what the island has on offer. 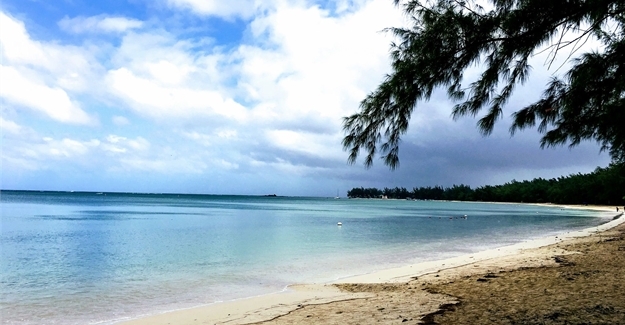 From Mahebourg, Blue Bay public beach is an easy drive. A big shady spot under the trees looks out over a calm bay with inviting turquoise waters. The perfect swimming beach with a vibrant sea life discoverable if you have swimming goggles and a snorkel. Blue Bay is popular though, so don’t expect too much peace and quiet – especially over weekends or in the high season. A friend and I decided to brave the public transport system and make our way to the closest public beach to enjoy our last morning in paradise before we headed back to South Africa. 32 rupees got us a ticket each and 45 minutes later we arrived at the unspoilt, almost-private Mont Choisy beach – lined with pine trees and equipped with spotless amenities. 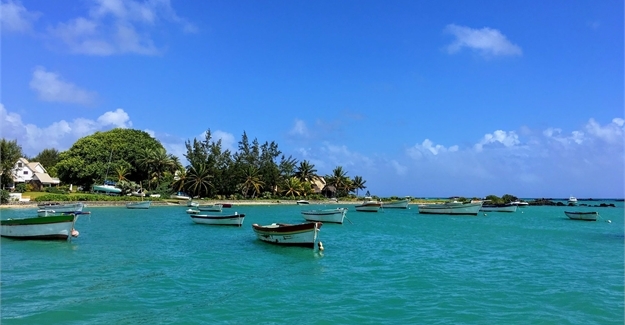 Other great public beaches on the island include Pereybere, Le Morne, and La Cuvette. 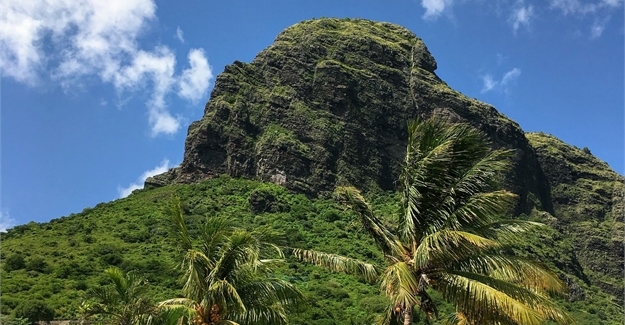 Mauritius is home to two Unesco World Heritage sites: Le Morne and Aapravasi Ghat. 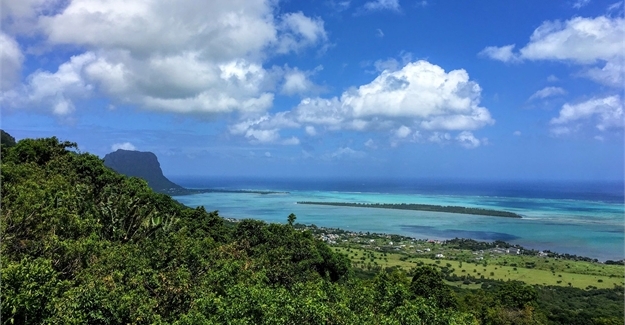 Le Morne Cultural Landscape is a strange but astonishing sight. This sanctuary commemorates the runaway slaves who committed suicide in 1835 by jumping off the mountain as they saw the British approach the mountain. Little did they know they would be informed of the abolishment of slavery. It was declared a World Heritage site by Unesco in 2008. Further up the west coast from Le Morne, in Port Louis, is the other World Heritage site named Aapravasi Ghat. This is the original immigration depot from where the modern indentured labour diaspora began. 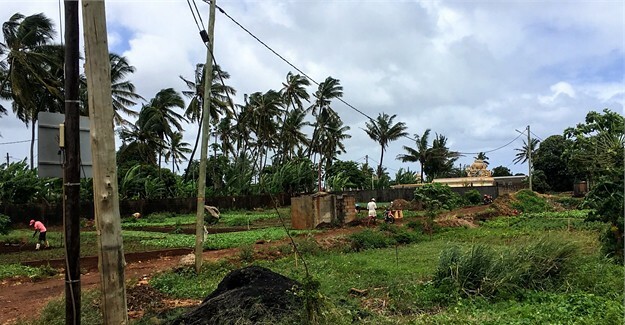 This is where, when Mauritius was under British rule, half a million immigrants arrived between 1834 and 1920 to work in the sugar cane plantations. Apparently, most Mauritians can trace their ancestors back to this exact site. Here you can expect to see original structural sections including the remains of kitchens, lavatories, a hospital block, housing sheds and a noteworthy flight of stairs down which every immigrant passed. After disembarkation, each new immigrant was photographed and registered. The site became a National Monument in 1987 and a World Heritage Site 19 years later. 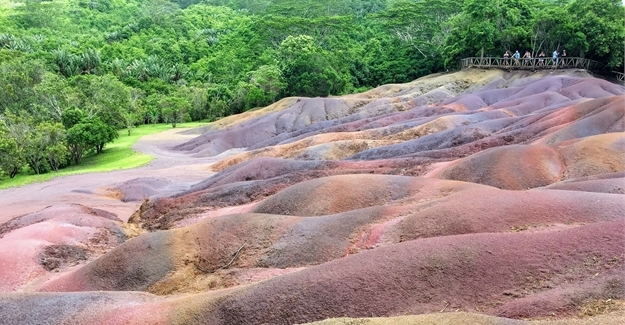 Chamarel is an area located south-west of the island, close to Le Morne. The drive took us up a lush, bendy mountain road and on our way, we passed pineapple and coffee plantations. 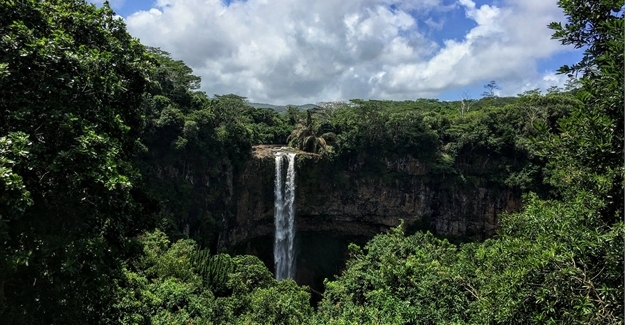 We stopped at the Chamarel waterfall for a quick marvel at the 100m-high waterfall, surrounded by a green jungle on all sides. The waterfall is a testimony to the volcanic activity that lasted several million years and it highlights two lava flows of different ages. 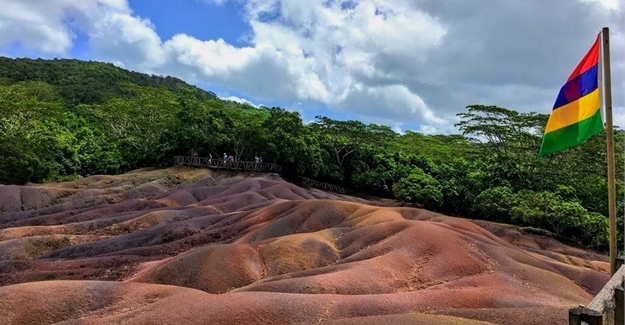 The Seven Coloured Earth is a magnificent geological site, but many people are disappointed when they get there. Don’t imagine gigantic rolling hills of red, brown, violet, blue, green, purple, and yellow. The area is relatively small, and pictures can be misleading, friends. So keep that in mind and ask questions about this marvel, and you won’t be disappointed. This wonderful sight of nature is quite unlike anything I’ve ever seen. 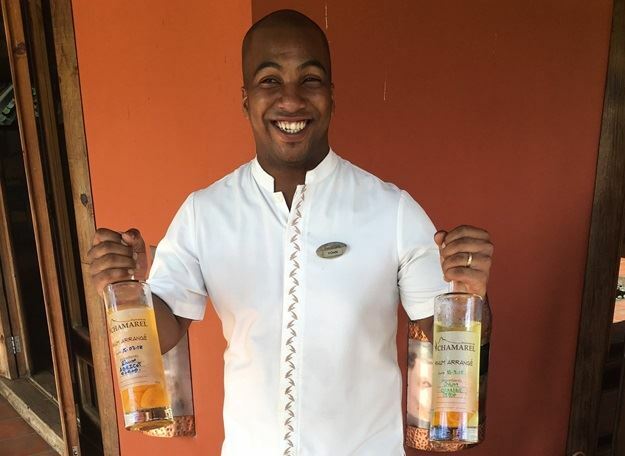 Embarrassed by my ignorance, I was surprised to learn that Mauritius is renowned for rum. There are a couple of places you can go to for rum tastings but I would recommend La Rhumerie de Chamarel and Château de Labourdonnais. Walking distance from our hotel, in search of that public bus, we happened upon another refreshing part of the city. 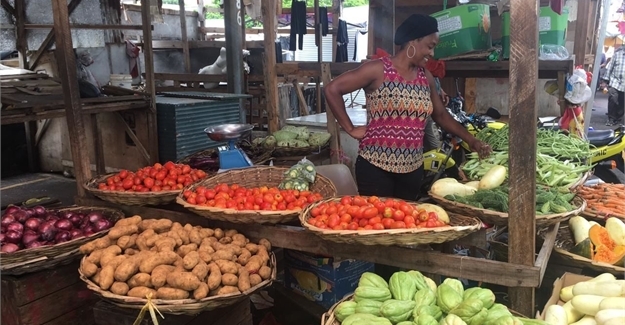 Port Louis’ markets are where locals make their way to and from work and stock up on fresh produce and other items. There simply is no better way to get a feel for a new city than to explore on foot and see how locals do life. And, in my opinion, Mauritians seem to do life pretty well. Wouldn’t you also rather be in Mauritius? 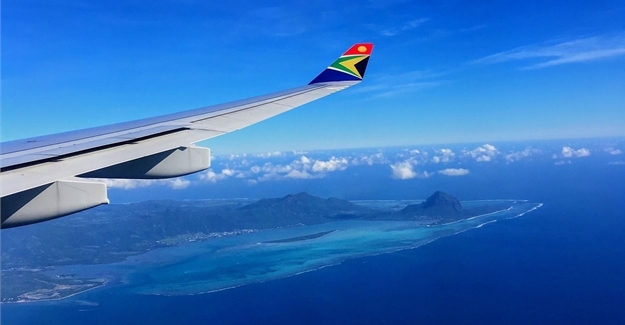 We were guests of the Mauritius Tourism Promotion Authority (MTPA) on this specific trip, but flights would cost between R5,000 and R10,000 depending on the time of year and season. For more, go to the MTPA website. This article was originally published on Bizcommunity.com. I also didn’t know Mauritius was renowned for rum! Have been wanting to visit for so long and this post just gives me more reasons 🙂 thank you!